Build a tent for your cat to play or nap in! Get four pieces of wood for the tent legs and one piece for the roof edge. Assemble the pieces of wood to make the tent frame. Cut a rectangle of fabric to cover the tent frame, fold over each edge to hem it, and iron the edges with Steam-A-Seam. Attach the tent fabric on the frame with Velcro fasteners or staples. 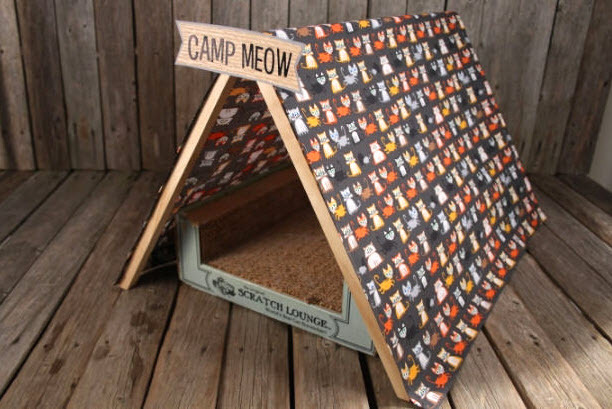 Make a sign for the tent and put a scratching lounger or bed inside.